is is a contemporary choreographer living and working in the Bay Area. Since 1996, she has directed a nonprofit dance academy, Shahrzad Dance Academy (SDA), and a performing ensemble, Shahrzad Dance Company (SDC), performing original choreography for concerts and dance festivals. Shahrzad was born in Tehran, Iran (Persia) and immigrated with her family to the U.S. in 1980, during the revolution. 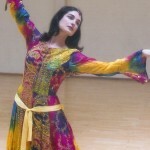 She has been involved in Persian dance since childhood, studied Modern dance and performance art at California Institute of the Arts in Los Angeles, and graduated with honors with a BA in Dance, and an MA in Creative Arts from San Francisco State University. Her training in dance consists of Modern, Jazz, Ballet, West African, and Persian dance, and she has served on the dance faculty at Solano College, Contra Costa College, Diablo Valley College, and Saint Mary’s College. 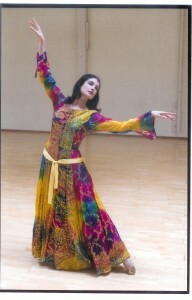 Shahrzad has also served as guest speaker at various World Music and Dance classes.